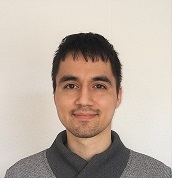 Henrik John is a Ph.D. student at the Department of Medical Informatics at Erasmus University Medical Center. He is currently working with Dr. Peter Rijnbeek on clinical prediction modelling using OMOP CDM data. As a collaborator of the patient-level prediction workgroup, he is involved in the development of the PatientLevelPrediction R-package. His current research fields include data-driven patient stratification, data set scaling issues, and deep learning. Henrik John has received his Master’s in Embedded Systems from Delft University of Technology and worked as a software engineer prior to coming to Erasmus University Medical Center.